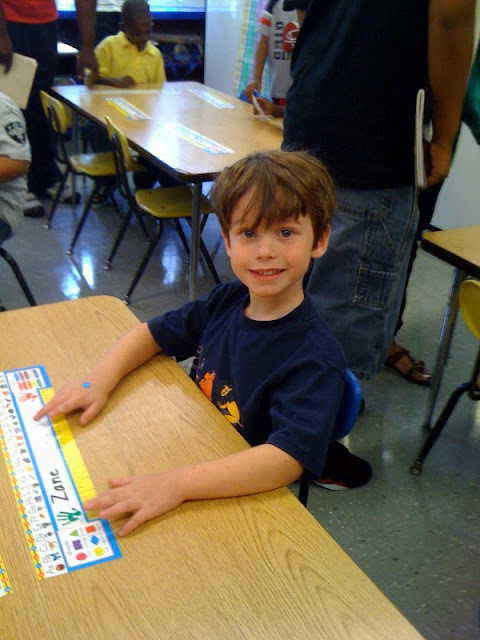 Yesterday was kindergarten orientation for Zane. A big moment for both of us. He had no problems going blindly with the other students into his classroom with his new teacher. Some kids cried, some insisted mom/dad walk with them...not Zane. He heard his name and darted out of his seat and into the line up. In mere seconds he was tapping the boy in front of him on the shoulder and talking. Oh my children are quite different indeed! Zane is attending the same Performing Arts School that I went to and while we were in his classroom yesterday a familiar face crossed my path, as fate would have it a girl that I went to school with has a son in the same exact class! I know this happens in small towns all the time but this hardly ever happens in one of the largest county school systems in the USA. I'm really excited for Zane. Excited for him to be in a school where he doesn't have to follow in anyones footsteps, that we won't have to live through sibling comparisons at school. Zane won't have to be in a situation where he has to chose to follow along or be an advocate for his brother. Zane can just be Zane. And to be honest...to have a break from living under the autism spectrum umbrella. This is going to be a very exciting year for him! 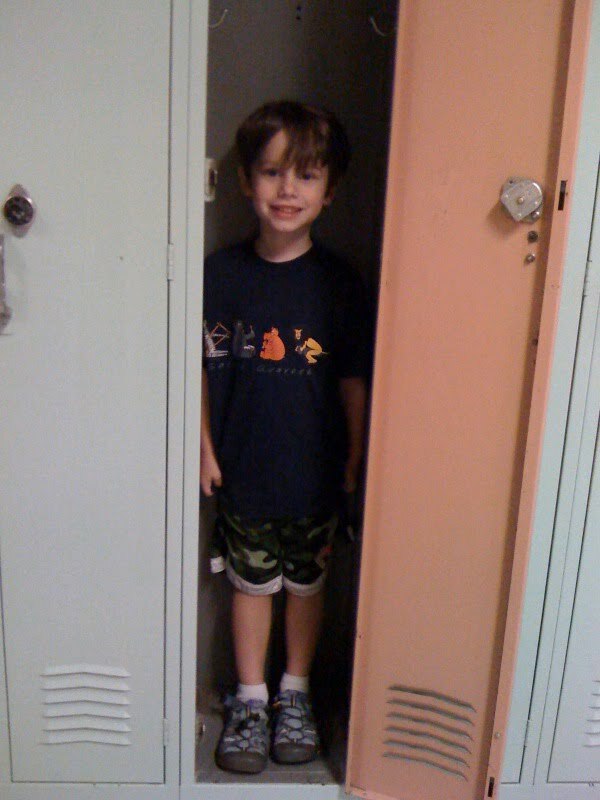 I mean how can it not...he's in kindergarten and has his own locker! So very cool!!! 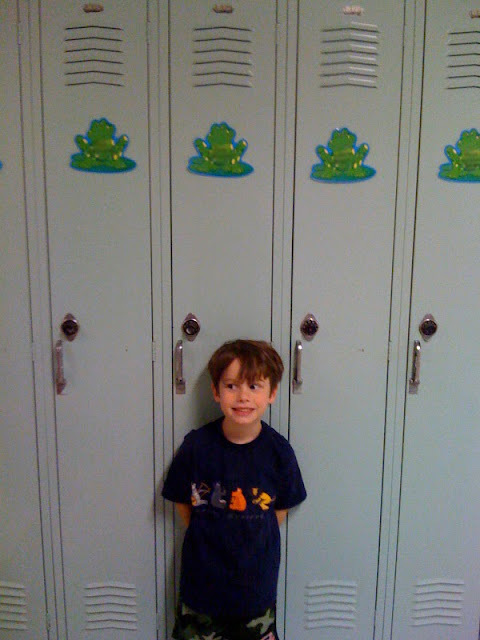 Well Gretchen you can certainly tell Zane likes his "frog" locker and I guess it is special to have one. Been a long time since I had one. Hopefully he will stay excited and bring home stories to tell you that will thrill your heart. Have an awesome day girl. Boy that smile on Zane's face says it all. Zane will enjoy school. His own locker?? Holy coolness! Happy kindergarten days to Zane!